That time of year has come again! It's back to school and that also means time to finish up any last minute school supply shopping you may have left to do. Before you go out and hit the stores to snag those school supplies, get prepared beforehand by having your child's school supply list printed out and ready to take with you. Almost every school has a specific list of what your child is required to have as far as school supplies are concerned. This list can usually be found either on the school's website or by going over to MySchoolSuppliesLists.com. At MySchoolSupplyLists.com you can search for your child's school supply list by state, school, and grade level. After locating your child's school specific list, simply print it off and take it with you to the store so you can be sure you get everything your child is going to need. Of course, teachers always appreciate extra donations of items such as Kleenex, hand sanitizer, and pencils. If your child's school does not supply a list there are some basic items that you can count on your child needing for the upcoming school year. For younger children these items usually include a backpack, lunch pail, binder, folders, crayons, colored pencils, markers, scissors, glue sticks, a ruler, pencils, pens, lined paper, and watercolor paints. For the older children you may not need markers, colored pencils, and paints. In addition to the above your older child will probably need a scientific calculator, spiral notebooks, a protractor, highlighters, and note cards. Extras that older kids usually appreciate include sticky notes, pencil top erasers, and dividers. If you are looking for more ideas when it comes to what your child may need for the upcoming school year, head on over to MySchoolSupplyLists.com. 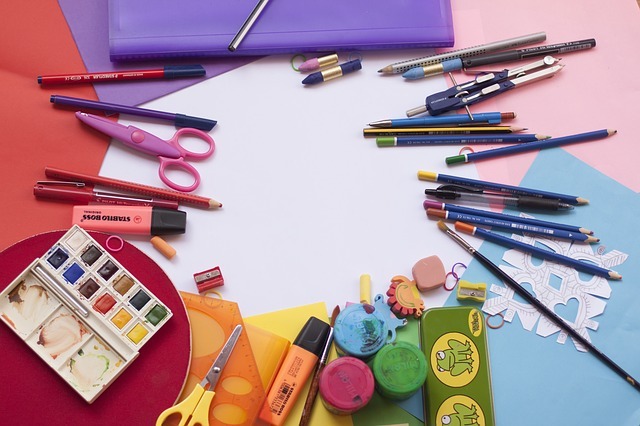 If your child's school does not have a list to go buy you can browse other school supply lists on their site to find out what you can expect your child to need. Now is the perfect time to cash in on all the school supply sales going on, so hop on over to their website to locate your child's list today!